NATCOR (http://www.natcor.ac.uk/), a National Taught Course Centre in Operational Research, delivers taught courses in the UK to PhD students on a number of different topics in OR. Once per year EURO will advertise a competition for bursaries; the NATCOR course fees and accommodation (typically bed and breakfast) will be funded by EURO for successful candidates. Any extra costs incurred will need to be settled personally. 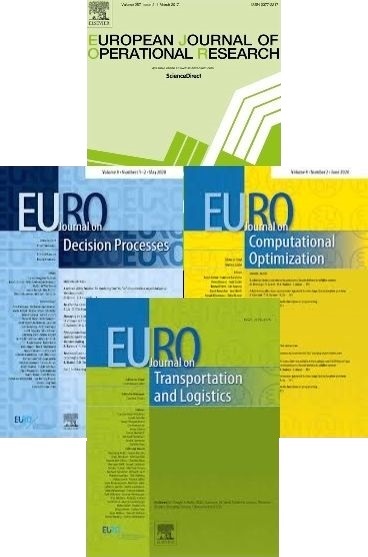 Applicants must be PhD students, from one of the EURO member countries or studying in one of the EURO member countries (see https://www.euro-online.org/web/pages/1457/current-member-societies). Applicants must have good English Language skills as all NATCOR courses will be in English. Preference will be given to students in their first or second years but all are welcome to apply. Preference will also be given to applicants who have not previously received support from EURO for NATCOR or other PhD schools. To apply for a bursary, candidates from a EURO member society country, or studying in a EURO member society country, should submit a zip file containing the application form, their curriculum vitae (including their academic track record), a letter outlining their motivation to attend, and a letter of recommendation from their supervisor. Applicants should declare on their application if they are receiving any additional support from their PhD funding body or other sponsor. The EURO VP2 selects and ranks (in the case of more than one accepted from the same country) the candidates. When accepting the candidates the VP2 should aim at a good distribution of the participants among the EURO member societies. Submit documents (see above) to https://www.euro-online.org/awards/natcor2019/registration.php.